If you are 70½ years old or older, you can take advantage of a simple way to benefit Concordia College and receive tax benefits in return. You can give up to $100,000 from your IRA directly to a qualified charity such as ours without having to pay income taxes on the money. Yes. Direct rollovers to a qualified charity can be made only from an IRA. Under certain circumstances, however, you may be able to roll assets from a pension, profit sharing, 401(k) or 403(b) plan into an IRA and then make the transfer from the IRA directly to Concordia College. To determine if a rollover to an IRA is available for your plan, speak with your plan administrator. Karen Bjornson Shepard is an adventurous woman. 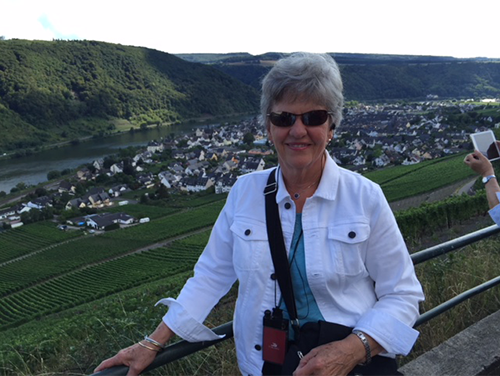 Not long after graduating from Concordia College in 1960, her husband, Lee, was offered an engineering position in the oil industry in Aruba, Netherlands Antilles. With two young children in tow, she was ready to go. Read how Karen utilized her husband's IRA to maximize her giving while experiencing tax savings. Contact Trina Hall at 218.299.3445 or piskhall@cord.edu for additional information on giving an IRA gift. Complete the IRA request letter.